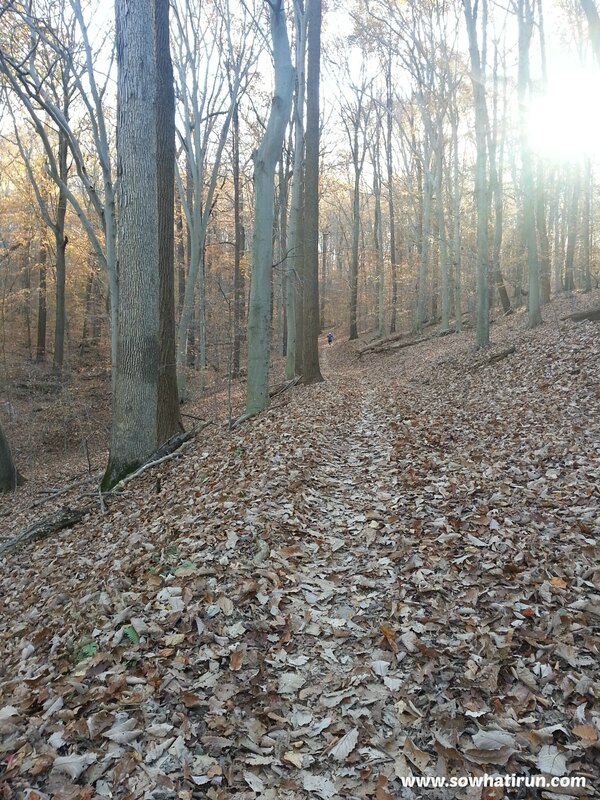 Pumpkin Pancakes and Trails (11/10 Weekend Recap) | So What? I run. I’m sorry that I’m not writing as much as I was when I was training for the Marine Corps Marathon. I guess I still have a touch of the post-marathon blues and have been “eh” about the run…until this weekend. I think I found my running mojo again…thank goodness! 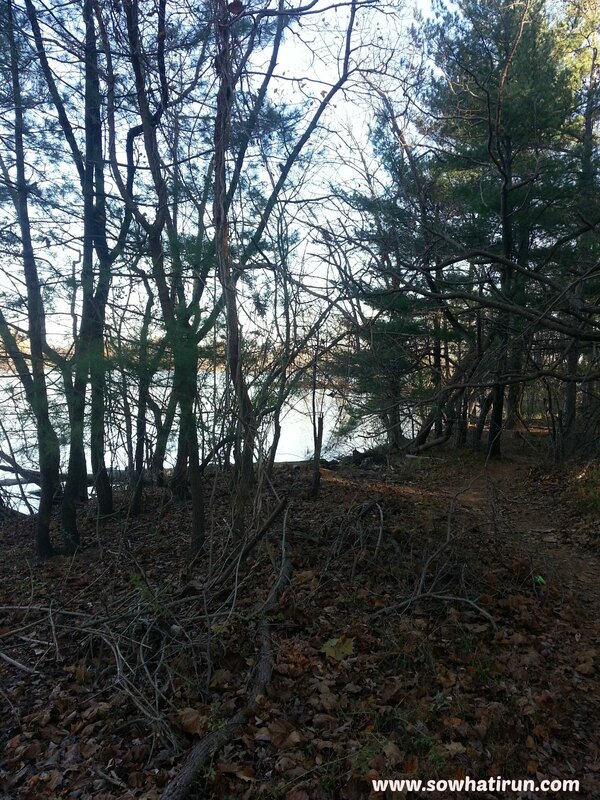 Yesterday I set out to run ten miles at the NCR trail. My friend Becky was set out to run six, so we decided to meet up and run some of the way together along with a couple of her friends. It was great to catch up with Becky. If you recall, she was one of my first interviews for Runners Inspiring Runners (which I need to pick back up). She has come so far and I’m so proud of her! When we got to six miles, I asked her if she was ready to try for seven. With a smile and an enthusiastic, “sure!” we kept on. It was her longest distance to date and I’m so glad to have been there to see it. When she mentioned that she and her friends were getting pumpkin pancakes afterwards, I decided to invite myself and told her I’d meet her at the cafe after I finished my ten. We said our good-bye’s and I was back on the trail. 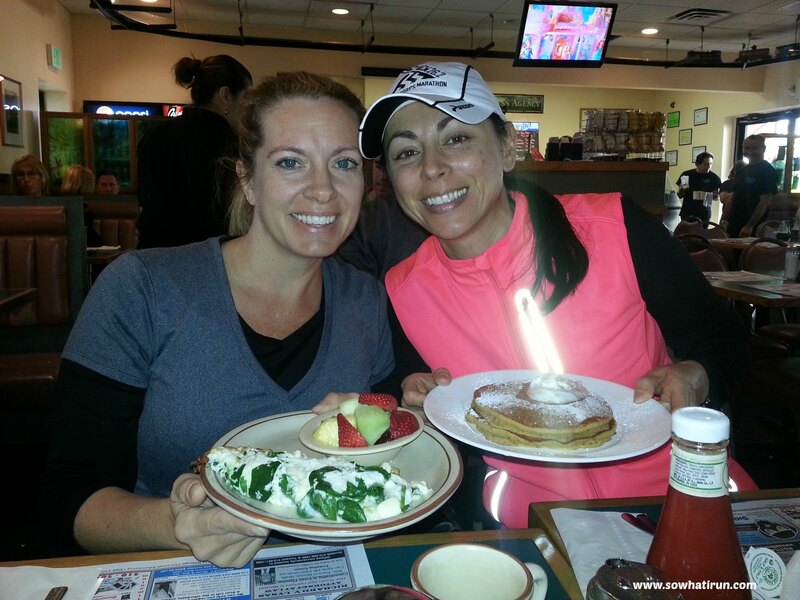 When I got about a half mile in, I decided screw it…I WANT FREAKING PUMPKIN PANCAKES! I sent her a quick text and turned right around. Now, I never made it to ten miles, but sacrificing the last two miles for pumpkin pancakes was well worth it. Sometimes, you just have to give in and say “Yes!” to the pancakes. That last mile was my fastest of the day at 9:35. As I mentioned in a previous post, I’m planning on training for the HAT Run 50K. Today I got my first taste of what the training was going to be like on the trails. Now, I’ve run trails with the marathon training group before, but this was different as I was running with a different mindset. This is what it’s going to be like for the next several months, and this is going to be hard. You see, I’m VERY clumsy. I’m constantly walking into things and tripping over air, but I’m ready for the challenge. I have to admit that I’m afraid of twisting an ankle or two, or falling flat on my face, but there’s no way that I’m going to let fear get in the way of trying something new. I believe if you are afraid of something, you have to overcome it head on…with the exception of killing bugs and spiders. When you see bugs and spiders, scream, flap your hands, do a jig and run into the other room. So, what do I think of trails? I think I’m going to like it. Despite almost wiping out twice, and rolling both of my ankles, I think it’s a nice change of pace from road running and I think it’s going to keep my interest through the winter. What do I need to do to prepare for training on the trails? Buy trail running shoes! I was wearing the shoes I wore for MCM and I don’t think they’re going to cut it. Do more ankle stability exercises! If there was a lose rock, I stepped on it. I was telling Reds, who was running with me, that I was just showing her were NOT to step. I’m such a good friend by pointing all those dang rocks and roots out. Work on hills! When we started out, we started out uphill. Immediately, I thought that this was it and that I wasn’t going to like it. I hate hills. Fortunately, it leveled off and I was able to get my bearings. Unfortunately, I’m going to have to learn to love hills…all of them. Not worry about pace and mileage! I think I’m fine on not worrying about my pace, I’m slow and I’m fine with that. The mileage, well, I love to see my mileage go up during training. Apparently, when we train on the trails, it’s about time, not mileage. Today our goal was to run for an hour…ummm…okay, so how many miles?? Doesn’t matter, it was about the time. For the record, my Runkeeper said we ran 5.35 miles for 1 hour, 16 minutes, and 56 seconds for a pace of 14.22. What am I going to like about trail running? The scenery. Beautiful…the entire time. It’s going to be difficult to take pictures while I run, but I’m going to try and capture what I see when I can…without wiping out. The quiet. Yes, there are the sounds of crunching leaves under your feet and wildlife in the air, but there are no sounds of traffic, and no fumes from the cars. Isn’t it sickening when a car drives by and you can SMELL that that person is smoking a cigarette?? Blech! The challenge. As I said, for me, it will be hard and I say, bring it on! I look forward to sharing my next training experience with you and share all the new things I’m about to learn! OHHHH! BEFORE I FORGET! 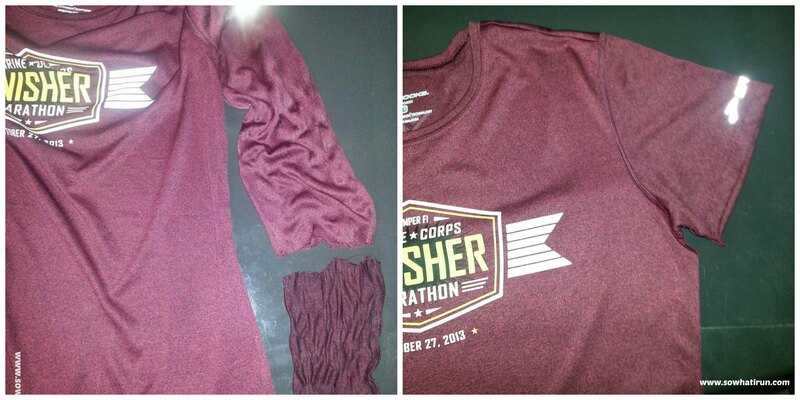 Remember my precious MCM Finisher shirt that I so cherished and loved but ripped the sleeve clean off? Thanks to Kendra’s suggestion and a great tailor, it’s fixed!!! Check it out! 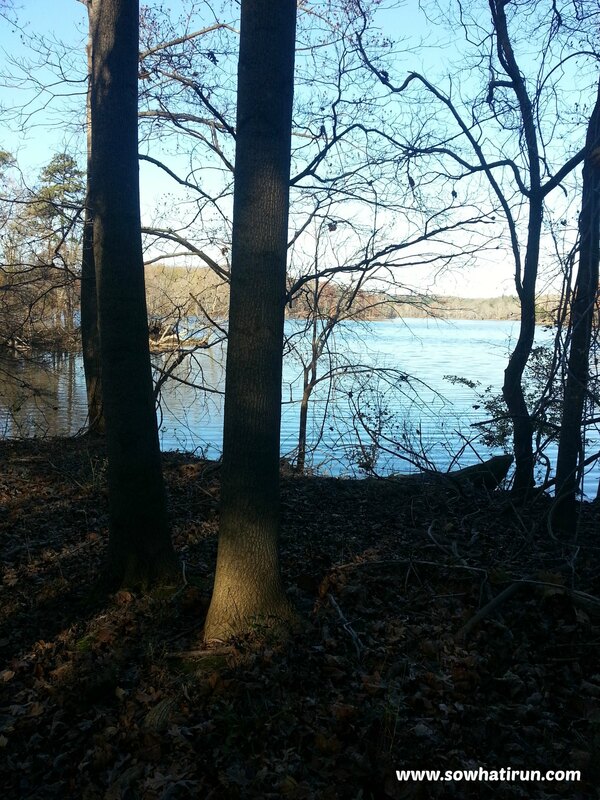 This entry was posted in HAT 50K Training and tagged 50K, Running, Trail, Trail Running, ultramarathon training by SoWhatIRun. Bookmark the permalink. right?! And those dang leaves cover all of the lose rocks! The pancakes were to die for!